Be the first to hear about their new releases and deals. Download the Booksprout app and search for Alkesh Nair today! 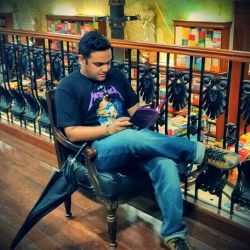 Alkesh Nair is a writer/poet from Mumbai. He flies a commercial jet for a living. In his free time you will find him reading, writing, playing his guitar or catching up on some sleep.